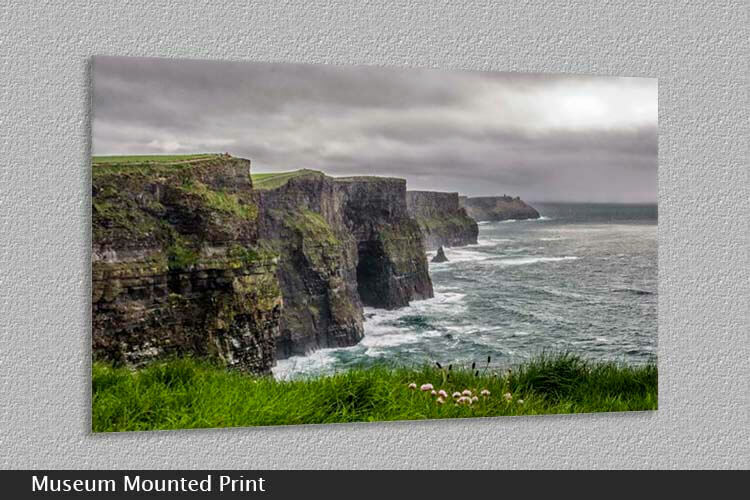 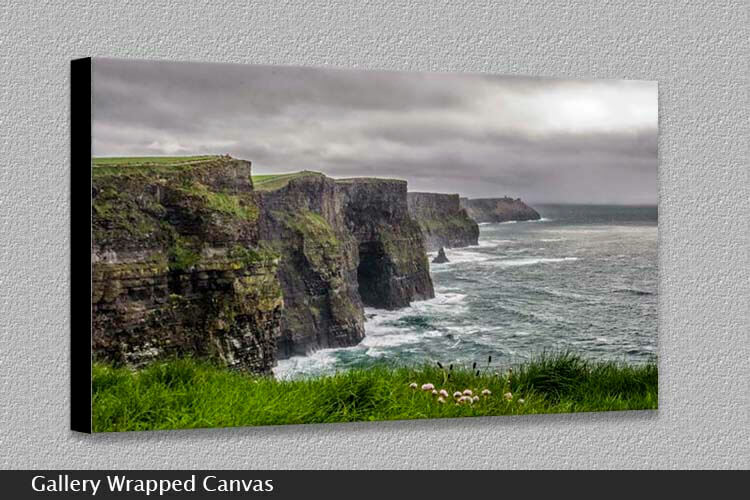 The Cliffs of Moher are located at the southwestern edge of the Burren region. 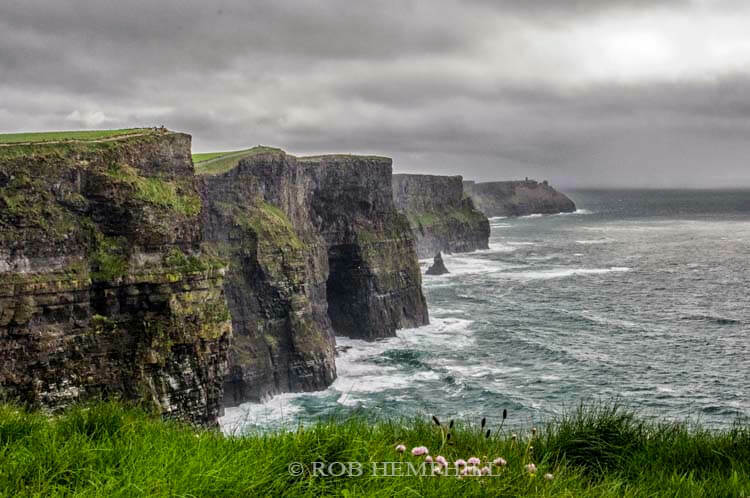 They rise 120 metres (390 ft) above the Atlantic Ocean at Hag’s Head, and, eight kilometres to the north, reach their maximum height of 214 metres (702 ft) just north of O’Brien’s Tower, which is a round stone tower near the midpoint of the cliffs. 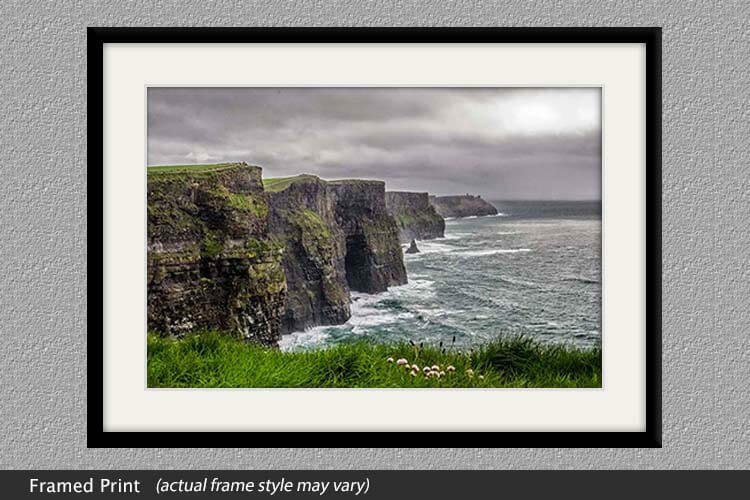 From the cliffs, visitors can see the Aran Islands in Galway Bay, and Twelve Pins mountain range to the north in Connemara, County Galway.